A wise man once said: juice is temporary, but "sauce is forever." For "Nature Boy" Ric Flair, the perennial chef d'école of cool, that idiom doesn't just resonate; it's a way of life. For well over 40 years — with his last WWE match marking 10-years this month — the Nature Boy's painlessly cool persona has transcended the world of professional wrestling and permeated hip-hop culture. When his catchphrase isn't opening Kanye West songs or his flamboyant robes being imitated by the likes of Ghostface Killah, the 16-time world champion is endlessly setting the bar for cool and blueprint for pageantry. So it goes without saying how incredible it was to see the limousine-riding, jet-flying son of a gun join forces with the fire-holding, Rick-the-Ruler, diamonds-cooler Offset for the music video to the latter's super popular record named after Flair. The song, "Ric Flair Drip," originally appeared on last year's Without Warning EP, starring Offset, 21 Savage, and Metro Boomin. Premiered last week, the visual does not disappoint. Rolexes, Bentleys, Rolls Royces, diamond-studded rings, sequin robes — it's a world class lesson in stunt 101. But while it celebrates the ostentatious style of both stars, the video also reminds everyone that Flair's sauce doesn't just last forever, it drips too. In the 24 hours following the "Ric Flair Drip" premiere, we caught up with the wrestling god to speak on the lavish collab, the recipe to his signature "Drip," and one of the few things left on his to-do list. Before we dive into the video, how are you feeling after this buzz following the video? So I guess the obvious question now is, how did this dream collab happen with you and Offset? What was it like working with Offset? He's smart, he's articulate, and he got it all going on. I think he surrounds himself with wonderful people that are genuinely interested in his career and who he is. The guy's got so much damn talent, it would be hard to hold him back even if they tried. He's a phenomenal guy. Talk about the video shoot. What was that experience like? Well, I've done a lot of stuff, not like videos for music, but like spending a day at the WWE, where we'd do off-camera shoots for the show. [This] was very well directed. [There was] input from a couple of different people, and I'm sure from people he relied on for their input and what they think, and it was very well organized. Wonderful people. Very friendly. My brothers. Best Promos - Ric Flair "$600 Dollar Lizard Shoes"
The video felt like an authentic Ric Flair promo from the WWE, WCW days. Sidebar: what are the steps to becoming a "limousine ridin', jet flyin', son of a gun?" I think, if I'm applying it to what I did, I think it's just [not] accepting anything else but an effort on your behalf to be the best at what you're doing. And if it takes a little more glitter, a little more brashness [and] if it requires overstepping the boundaries sometimes, then that'll get people to think, 'Oh boy, he's out there.' That's how you get attention. You got to do something that's different. People might look at it and say, 'God, he's out there.' But at the end of the day, they'll look at ya. That's the answer. And they're listening. You're an icon in and out of the ring, especially in the hip-hop community. Talk about the feeling that comes when you have artists making songs about you, or getting a call to appear in videos like this with Offset. I mean it's so rewarding. It's hard to explain all that stuff I did in the '80s. All that money I spent on jewelry when nobody was wearing it. [Laughs] It's all coming back around full circle. I used to sometimes want to kill myself later in life for all the money I spent renting jet airplanes, limousines, and all of that. But, now it's coming back full circle. I don't regret any of it. So to have the respect of guys like Snoop Dogg, who I've been friends with forever, and Offset, whose career and future is unlimited, I'm thrilled by it. Let's indulge in my wrestling fandom real quick. 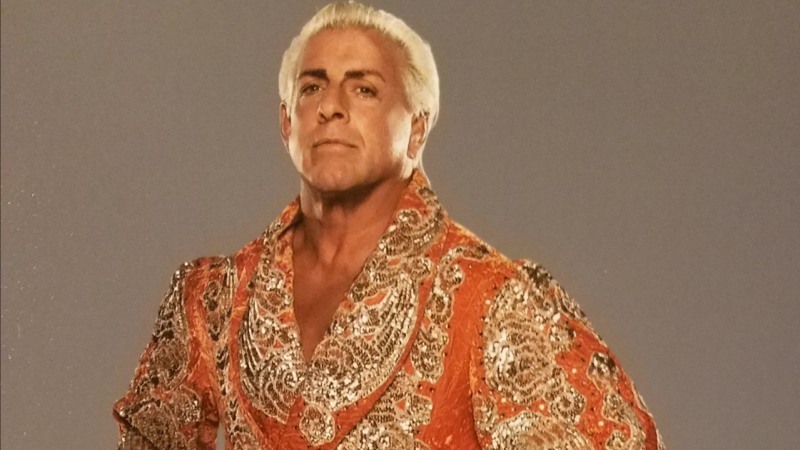 What's the backstory behind the "Nature Boy" persona and the in-ring robe? 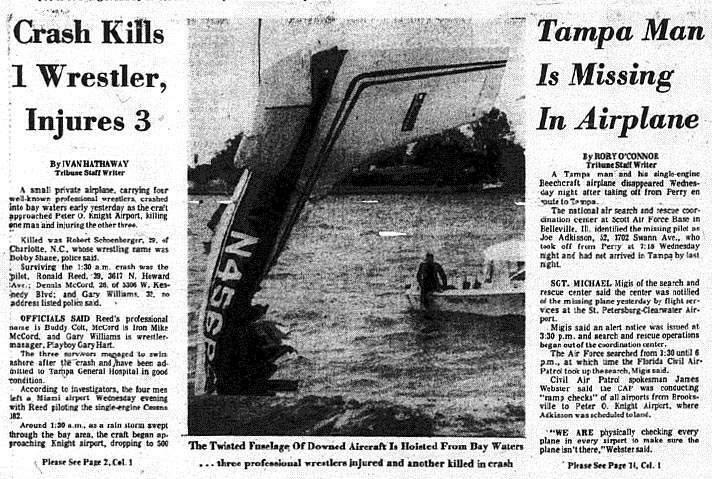 Well, after surviving an airplane crash in '75, a guy named George Scott, who was a booker and good friend of mine, just kind of took a look into where I was going and what I was doing, took a little bit of "Nature Boy" Buddy Rogers, a couple of other guys, and I took that and felt a level of comfort, which is very important. I think that success of any kind is reflected upon your level of comfort in what you're doing. I'm watching Offset perform on set the other day, and that's him. He loves that. That's not game, man. He goes "Where's my diamond rings?" and "I can't shoot this without my necklace." [Laughs] He knows the gimmick, he's got it going on. Ric Flair "Spilt Liquor" Speech!! On "Ric Flair Drip," we hear your signature "Wooo!" referenced. You also treat us with it in the video. How did that famous catchphrase come alive? With WWE's WrestleMania around the corner, I have to ask about your thoughts on John Cena currently tying your 16-time World Champion record? I think it's great. If anybody deserves that honor, it's John. He's a trooper. 16 years, no time off, very unselfish, the king of Make-A-Wish, [he's] just a great guy. He's the flagship. He has done everything that it takes. John completely devoted and committed to being the flagship for the company and he is. So if he wins 17, I'll be happy for him. I'll be the person to shake his hand. You've seen it all and done it all, but if there's one other thing that you still wish to accomplish, what would it be? Wait, that has to be next. Don't tell Offset I said that. [Laughs] She's really good herself too. They really look like a really hot couple and they're gonna make a lot of headlines for a longtime. For official "Ric Flair Drip" merch and more, head over to the Ric Flair Shop.